Zach O'Ben, left, stacks firewood with his grandmother, Pauline O'Ben, in the garage of her Gardiner home on Monday. 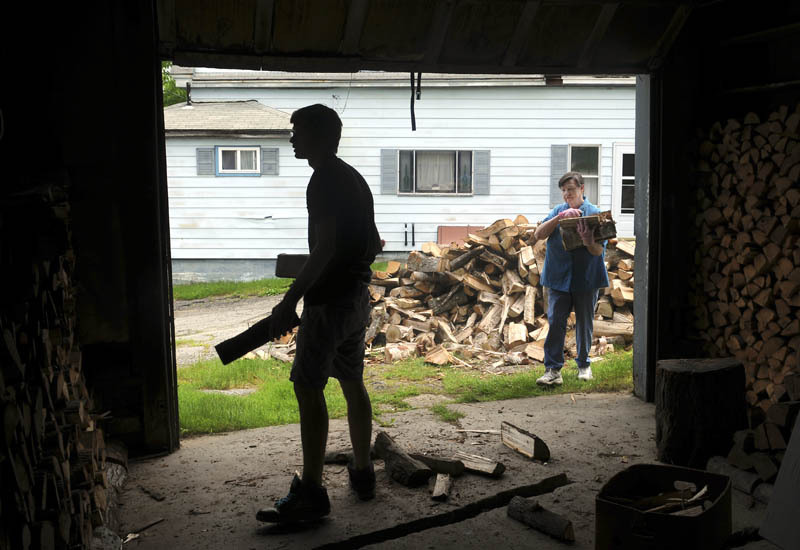 Zach O’Ben, left, stacks firewood with his grandmother, Pauline O’Ben, in the garage of her Gardiner home on Monday. The elder O’Ben said she dries the wood for a year before burning it, and the stacking goes much faster with the assistance of her grandson.